Honeywell has a tradition to upgrade smart features for the old middle devices. For example, out of the HPA Models, they will choose the HPA200 and make a smart HPA250B. Also, with the HFD Models, they will choose the middle AirGenius 4 and upgrade to the Honeywell Compact AirGenius 4 HFD280B. Today, we will give out the Honeywell Compact AirGenius 4 HFD280B Review to see if you should buy this air purifier or not. Honeywell Compact AirGenius 4 HFD280B is truly what Honeywell needs to compete with the rising of Smart Sensor air purifiers in low-range market. To do that, the Honeywell HFD280B has to sacrifice something, but not a significant loss. Let’s see what you gain and lose with our Honeywell Compact AirGenius 4 HFD280B Review. The Honeywell Compact AirGenius 4 HFD280B is the tactical ace to target the low-range segment. Sadly, this air purifier is no revolutionary, but when you compare it to the Honeywell HPA030B or the GermGuardian AC5250PT and other similar price range air purifiers, it’s still the device that has more smart function. You will get all the same functions as the Honeywell AirGenius 4 HFD310, but with a compact size and lower power fan, at a saving of more than $70. Therefore, the price of this Honeywell Compact AirGenius 4 HFD280B is around $129. You can get the better deal below. 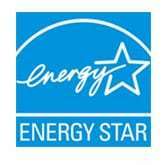 Honeywell HFD280B – Honeywell Compact AirGenius 4 Air Cleaner/Odor Reducer, Black Edition (with Energy Star qualified). 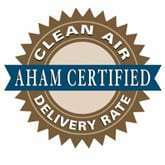 Recommended for small rooms, 150 sq ft. 4 air cleaning levels: Sleep, General Clean, Allergen and Max for the best performance. While the Honeywell HPA250B was pretty much a clone of the HPA200, it’s not quite the same story for the Honeywell HFD280. It retains most of the Honeywell AirGenius 4 HFD310’s good looks, but you do have to make one compromise: no light at the bottom. It’s not a deal-breaker, but it does feel like a backwards step from Honeywell. It still has the same back-to-front air flow system, with an air intake grill from the back and an air outlet grill on the front. Also, the air grill is made more stylish, making the Honeywell Compact AirGenius 4 HFD280B looks modern to the users. And with only 19 inches in height, its size gives the compact tower air purifier a more robust and durable build. There is a minor change to the order of buttons in the control panel, which is more simple and thinner than the previous HFD310, while keeping the same number of functional buttons. With such compact size, the Honeywell Compact AirGenius 4 HFD280B only weighs 2.6 lbs, being lighter than even the Blue Pure 411 (with 3.4 lbs), Honeywell HPA020B (with 4.8 lbs) or the Levoit LV-H132 (with 6 lbs). 2.6 lbs means you can bring this air purifier anywhere easily. One advantage (or disadvantage) to any HFD Model air purifiers of Honeywell is they are keeping the same ifD air filter. That being said, the Honeywell Compact AirGenius 4 HFD280B is running a 2-stage air filtration system as below. Pre-filter – Honeywell Compact AirGenius 4 HFD280B uses a normal pre-filter. This pre-filter can capture larger particles before they enter the ifD filter. Also, the pre-filter is washable, and therefore, permanent. ifD filter – The Honeywell Compact AirGenius 4 HFD280B uses an unique ifD filter to capture up to 99.9% of down to 0.3 microns contaminant particles like pet dander, mold, viruses, bacteria and pollen. This air filter adds an Activated Carbon filter to help deodorize the air and reduce the odors. Like I stated above, being one member of the HFD family in Honeywell, Honeywell Compact AirGenius 4 HFD280B is using the latest air filter which even the latest AirGenius 6 or AirGenius 5 are using. 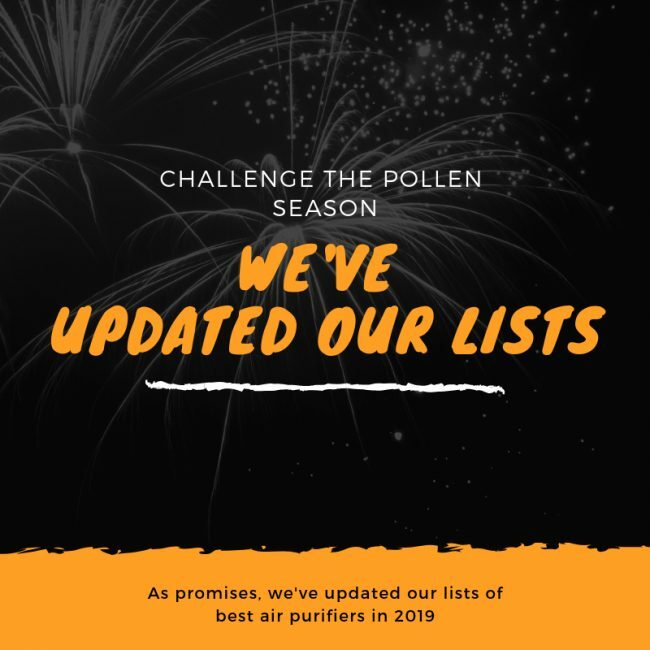 While it guarantees the performance rating of the lower-range air purifiers (like Honeywell Compact AirGenius 4 HFD280B), we can’t help but ask why we need the more expensive device. Not upgrading the air filter is an issue from not only Honeywell, but also other air purifier brands as well. Again, if running in the same test conditions, the Honeywell Compact AirGenius 4 HFD280B can have high efficiency of 90% for every particle as small as 0.3 microns in size. If compared with others in HFD family, like Honeywell HFD-010 or Honeywell HFD-120-Q, we can see clearly the better performance of this Honeywell Compact AirGenius 4 HFD280B. Back to the air filter, it is still an ifD filter, which stands for Intense Field Dielectric. This technology is a breakthrough, permanent filtration method that is highly effective against all types of airborne particles which are larger than 0.3 microns. It works like an ionic air filter, and therefore, can emit a trace amounts of ozone. Again, Honeywell doesn’t make an on/off button for the ionic feature. This will discourage others having asthma or breathing issues to buy this Honeywell Compact AirGenius 4 HFD280B. Being the compact tower air purifier, Honeywell Compact AirGenius 4 HFD280B has a smaller fan, and as a result, can only cover a smaller area. Its room coverage is only 150 sq ft, which is similar to the Honeywell HPA100. The ACH of Honeywell Compact AirGenius 4 HFD280B is still 5x. Even with a smaller fan, Honeywell still commit to make high ACH rating fan power, which can clean your room every 12 minutes. The CADR of Honeywell Compact AirGenius 4 HFD280B is only 95 Dust/ 98 Smoke/ 84 Pollen (cfm). With a lower CADR rating than even the small HPA100, Honeywell Compact AirGenius 4 HFD280B will need more time to clean a room of 150 sq ft. There is one advantage for not having True HEPA filter in your air purifier – the silence of its fan. It’s really difficult for a good True HEPA air purifier to deliver a quiet noise level. Luckily, thanks to the ifD air filter, Honeywell Compact AirGenius 4 HFD280B (and others in HFD Models) is really quiet. With only 4 fan speeds, the Honeywell Compact AirGenius 4 HFD280B is a must-have air purifier in any quiet places, such as your office or bedroom. The Power Consumption of Honeywell Compact AirGenius 4 HFD280B is only around 35W, which is much better than the HPA Models of this brand. However, this power consumption still can’t compare with other energy-saving devices like Rabbit Air BioGS 2.0 or Levoit LV-H132. For using a Honeywell Compact AirGenius 4 HFD280B 8 hours per day, it would cost you up to $12 per year. The reason why you sacrifice the fan power of this Honeywell Compact AirGenius 4 HFD280B is because it will bring more additional features, right? Honeywell Compact AirGenius 4 HFD280B brings in an air sensor, to optimize allergen capturing performance. However, not like other Smart Sensor, you need to manually switch to the Allergen setting to turn on the function. Also, you will still have all these AirGenius 4‘s features, such as a 2, 4 and 8 hour auto-off timer, or a Dimmer Option for control panel lights. There is one button for oscillation function and one LED indicator for filter replacement, too. 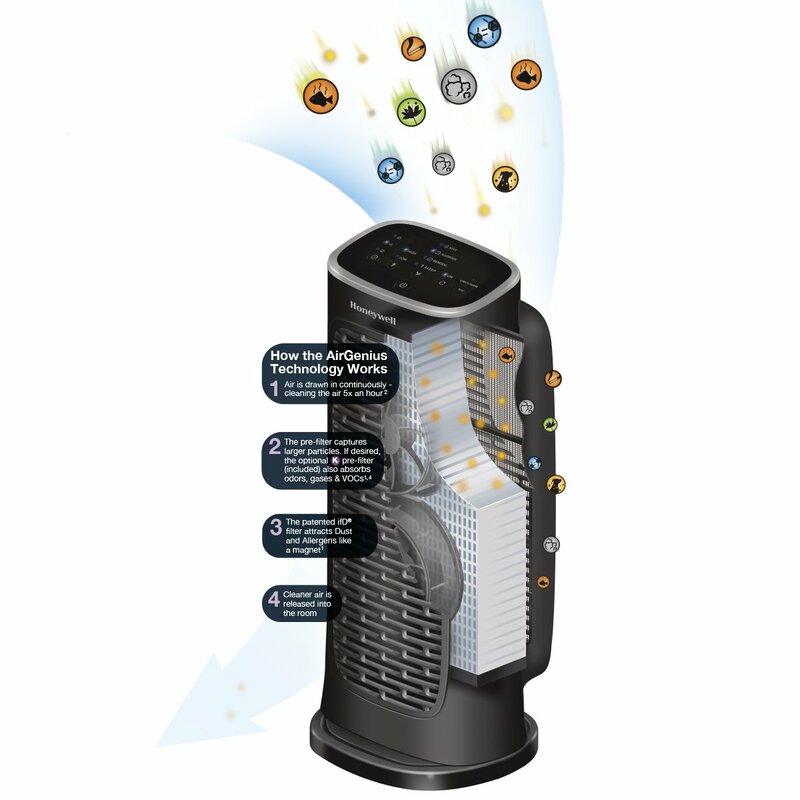 The Honeywell Compact AirGenius 4 HFD280B is one of the best mini air purifiers for the price. Though the performance rating is not as good as other True HEPA air purifiers, the additional features is still a spotlight for this device. Should I buy Honeywell Compact AirGenius 4? No, you should buy the Honeywell HPA030B instead, as the mechanical True HEPA filter is still better than the ifD air filter. If you have serious allergies or asthma to airborne pollutants: the Honeywell Compact AirGenius 4 has an ifD air filter, which is not as good as the True HEPA filter. If you need a budget version of this air purifier: you can choose between the Honeywell HPA020B and the Honeywell HPA060. If you care about the annual filter cost and energy cost: the Honeywell Compact AirGenius 4 has the most affordable air filter for the price. 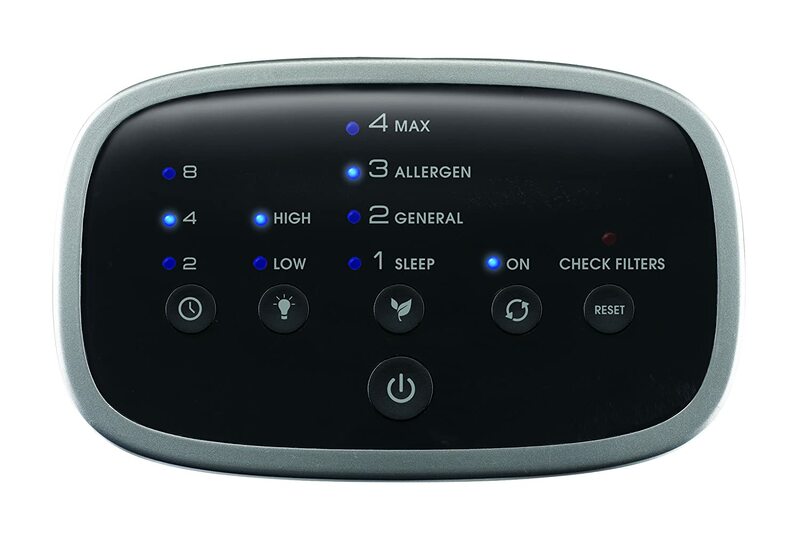 One of the best Allergen air sensors for lower than $150, Honeywell Compact AirGenius 4 HFD280B is really a must-go for serious allergies. But remember, this air purifier is only for small rooms.